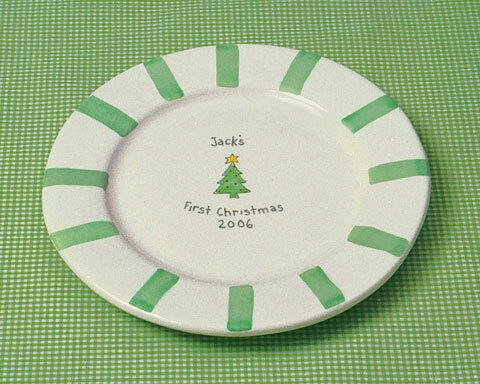 Celebrate your child's very first Christmas with the personalized ceramic holiday plate. This will become a favorite keepsake. Each plate measures 8" diameter. 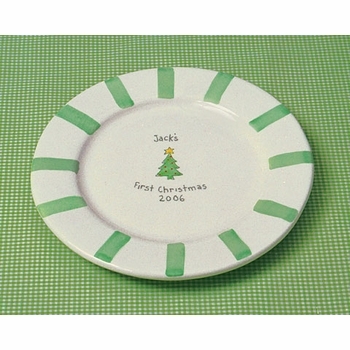 All personalized items are custom made to order and ship directly from the designer.